Persol 2931 - Striped Tortoise Need Help? The Persol 2931 is a timeless acetate aviator design. It features Persol's signature supreme arrow, a classic key-hole bridge, and glass lenses providing superb optics. 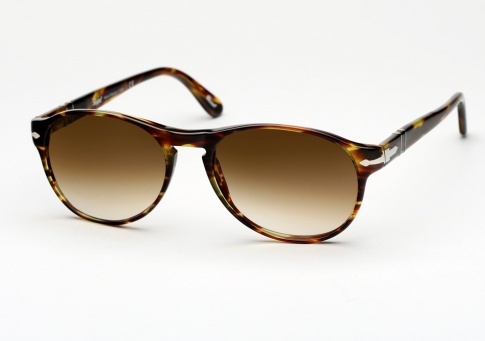 It is offered here in a unqiue "Striped Tortoise" acetate, paired with brown gradient lenses.